I’ve been trying to write this post for about two weeks now, I’m not going to lie. Jenn and Tyler are awesome, and I was trying to come up with an uber clever and wordy way of saying it, but I couldn’t come up with anything other than awesome, because that’s what they are. Our first wedding consultation back in February lasted almost two hours. I left feeling like I didn’t just spend some time with clients, but that I spent time with friends. The same thing happened when I met with Jenn the week before the wedding and we chatted for three hours! 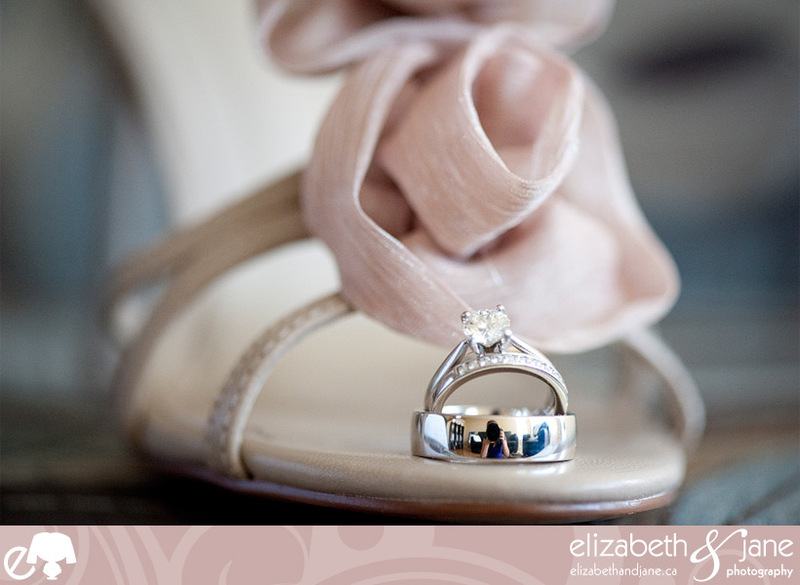 Jenn and Tyler had an engagement session with me which we used to create a one of a kind wedding invitation. You might remember the session I blogged here. I even got a free burger from The Works from writing that post! Their wedding day was perfect. It was a beautiful sunny day and there was so much love in the air. When I arrived at their house to capture Jenn getting ready with her bridesmaids, she was relaxed and the three were having a light lunch with more than perfect hair. As she got dressed, I could see that Jenn was excited, underneath all that calm energy, she was excited to marry her best friend in a few hours. 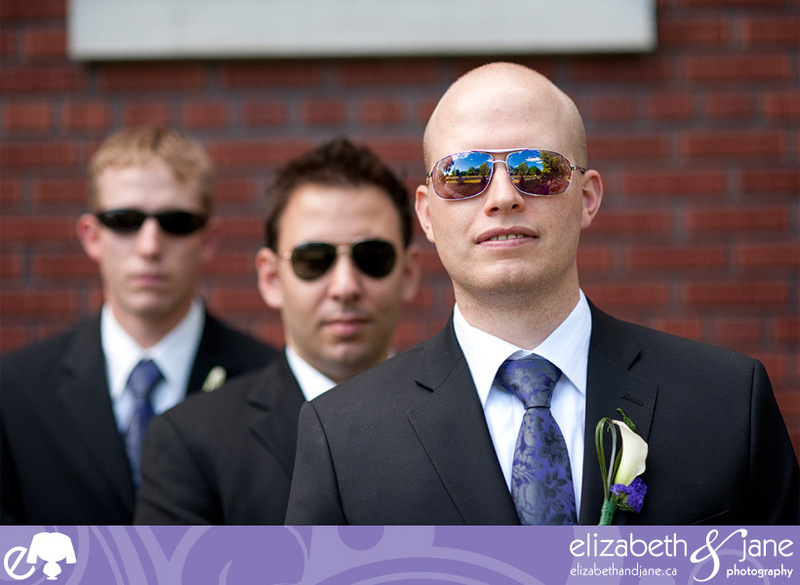 Tyler waited at the church, getting everyone settled and ready for the ceremony. 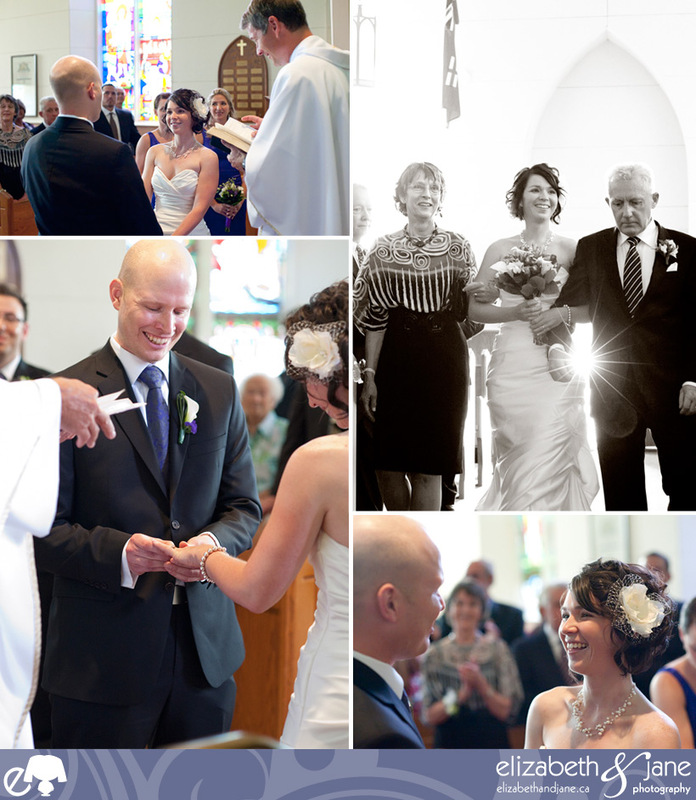 The ceremony was held in the Church was the Christ Church Huntley, which holds a lot of meaning to Tyler’s family – it has been their family church for many years and they are very much involved in the parish. The ceremony was beautiful and everyone could barely hold back their emotions. Everything was so beautiful and the day was perfect. And the car…oh the car!! Jenn had a family friend who loaned them the most beautiful car I’ve ever seen. 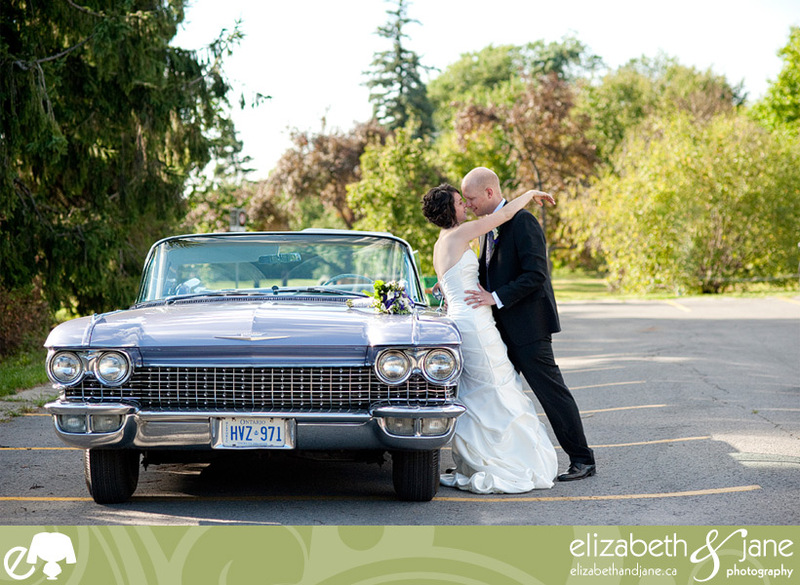 A lavender vintage cadillac. It matched the colour scheme and provided a whole other level of cool. I actually squealed out loud when I first saw it! The reception was catered by the wonderfully talented Epicuria and cannot deny that I ate a ton and enjoyed every single bite. The food was so good that I am going to save those photos for a post all by themselves. Jenn and Tyler are awesome, and there really isn’t any other word. Anyone who meets them can tell that they are perfect for each other and are so in love. I know that they will be happy together forever. 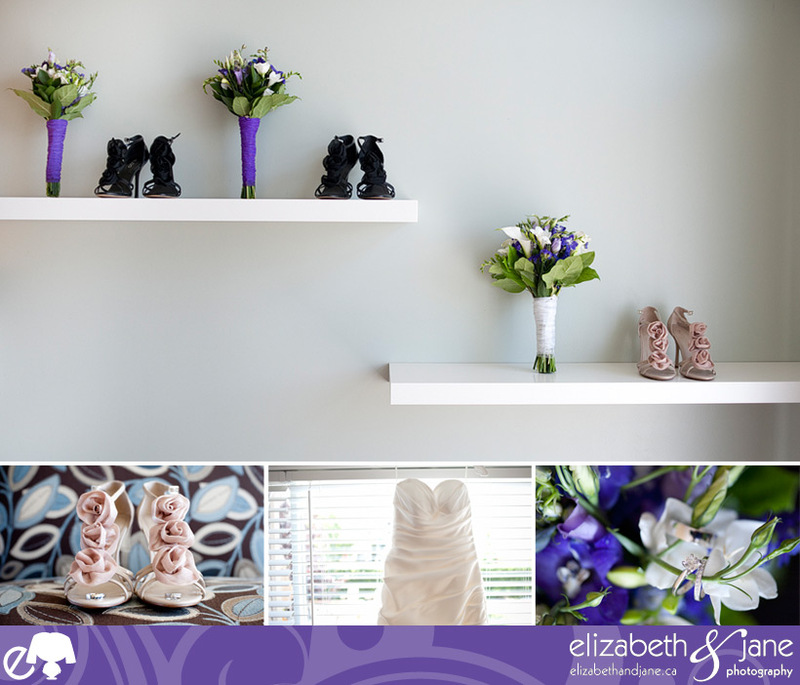 I cleared off their kitchen shelves for the top shot and balancing those bouquets took some patience I tell you! The groom before the ceremony – a bit nervous, but very excited. I love the light in this shot. 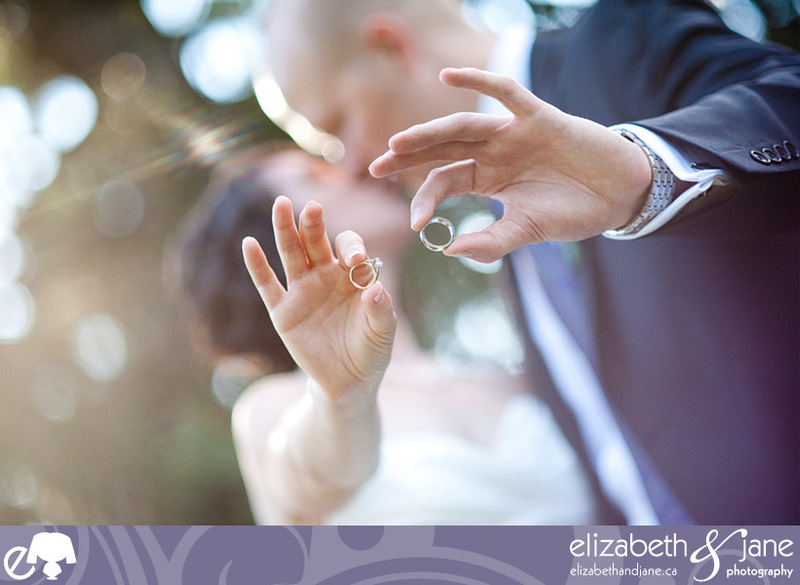 It really shows how warm, sunny and beautiful their wedding day was. Love the emotion in this shot! 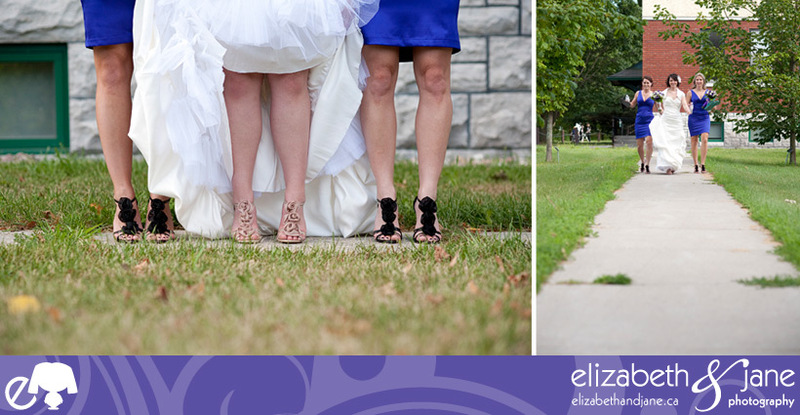 One word: shoes. The ladies were so great and didn’t complain once as I had them walk all over the parking lots at the Arboretum! 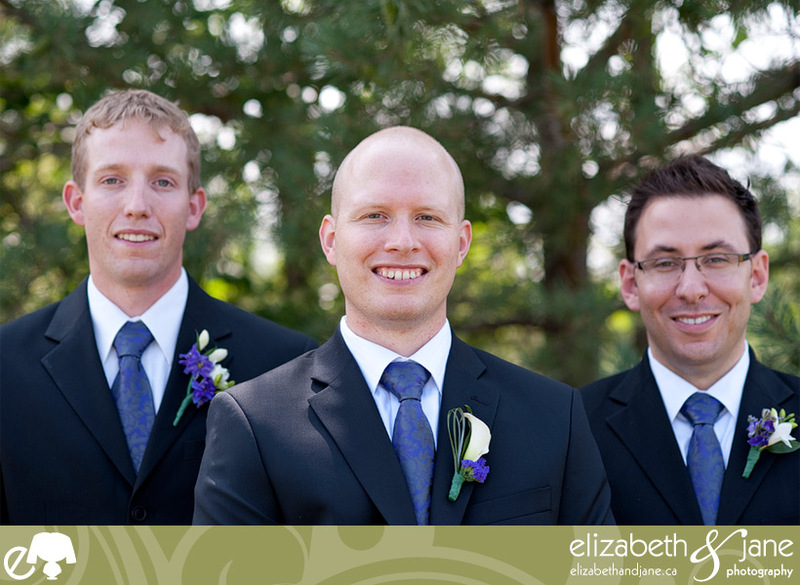 One of my favourite groomsmen photos ever. I love the reflection in his glasses. There is something about this photo that I just love. I don’t know why, but I do. 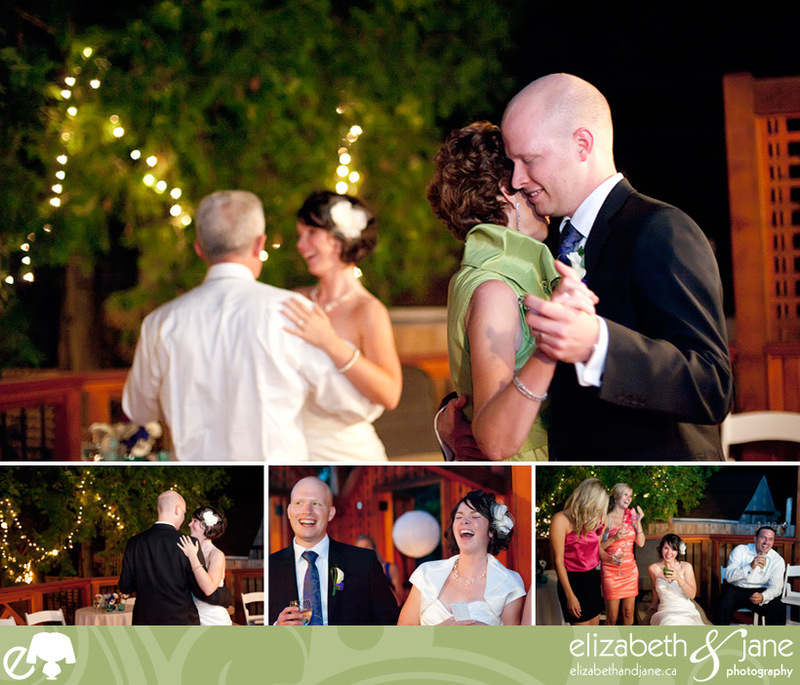 The reception was filled with so much love, and laughter! The dancing at this wedding was great. 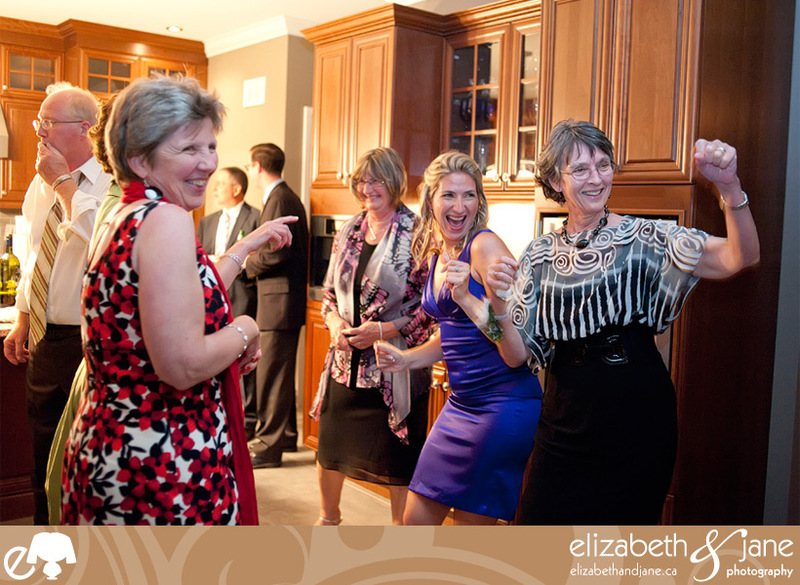 I admit I busted a move on the dance floor as well! 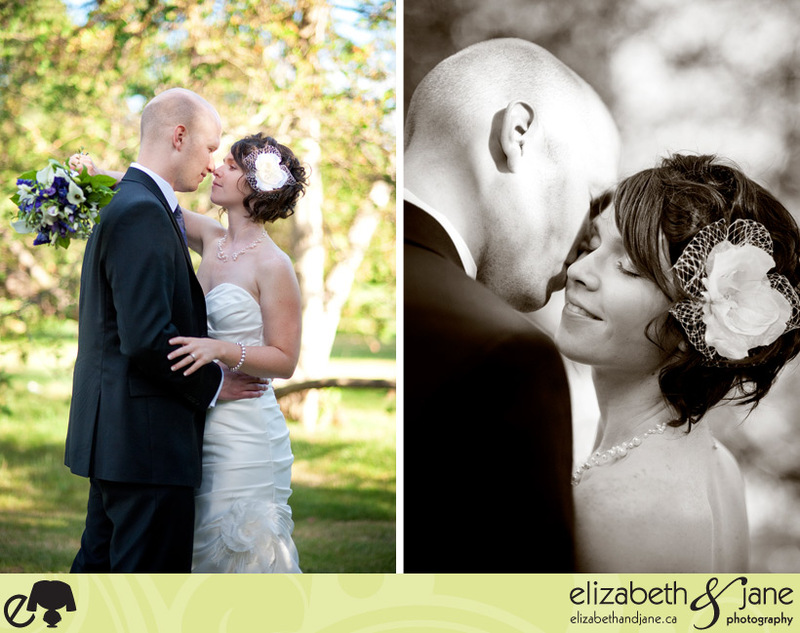 Jenn and Tyler, thank you for having me photograph your wedding and spend the day with you. You are the best. xoxo. Church was the Christ Church Huntley. 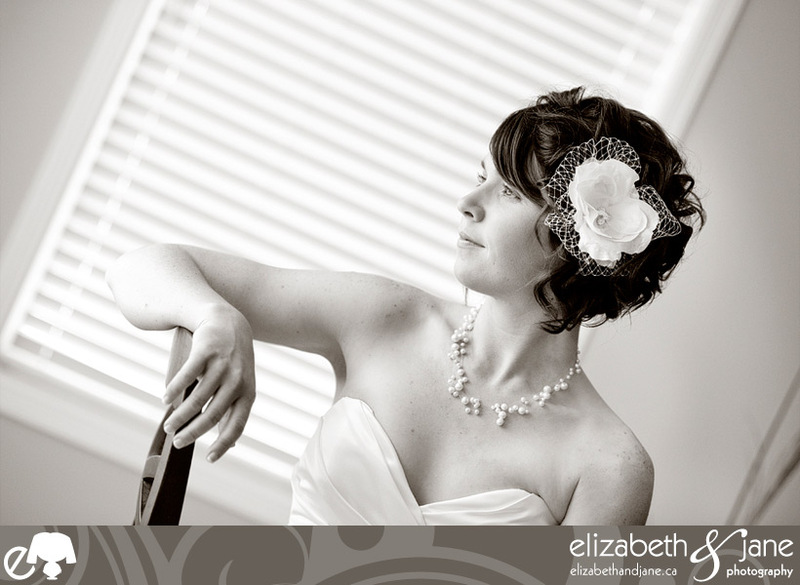 Wedding Dress from Sinders Bridal House, Carleton Place. Bridesmaids Dresses from Le Chateau. All Wedding Shoes from Aldo. Reception held at a family home. 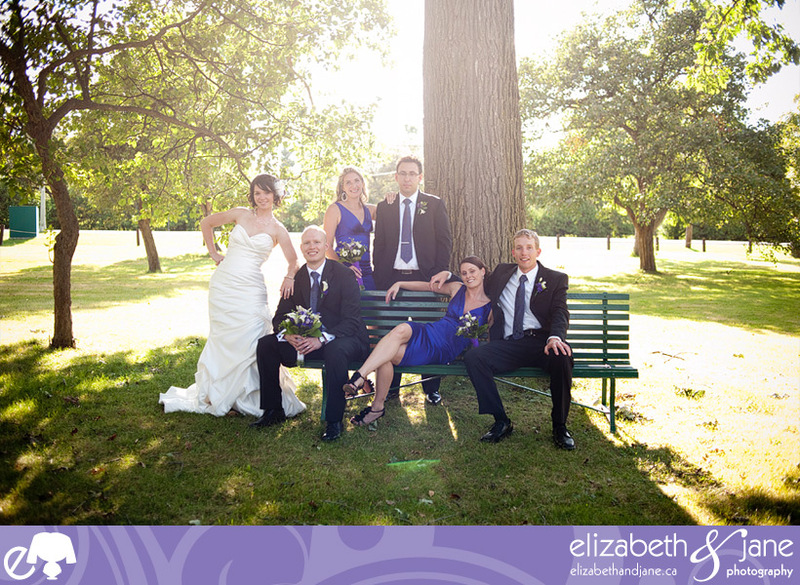 Photographed by Liz from elizabeth&jane photography.